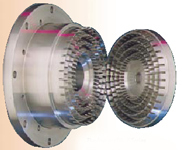 Our Ultra High Shear Models include the Quad,X Series or MegaShear Designs. The units include four stage or greater rotors that turn at speeds to 15,000 feet per minute within a stationary stator. As the rotating blades pass the stator, they mechanically shear the contents. This series is a good choice for process lines that require frequent changeover from one product to another. A simple valve can divert finished product downstream or switch instantly from one vessel to another. The Inline models are supplied in many sizes and materials of construction from 10 through 250 horsepower. To request a brochure for the Ultra High Shear Inline Models, please completely fill out the following form. You will then have access to download the brochure in PDF format or to request that one be mailed to you. Do you intend to recirculate to a vessel, or do you require continuous operation? If you plan to recirculate, what size (gallons) is the vessel? What is the specific gravity of your product? Do you have an existing vessel or do you need to purchase new for this requirement? What industry are you in? For example, adhesives, pharmaceuticals, plastics. Is this a new mixing requirement or are you up-dating an existing process? What type of mixer are you currently using? Are you a current user of this type of mixer? If you are please describe the features now included on your mixer. 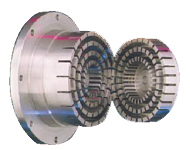 For example: which stator head are you using, is it a sigle or multiple stage design. When do you require a mixer in your facilities?